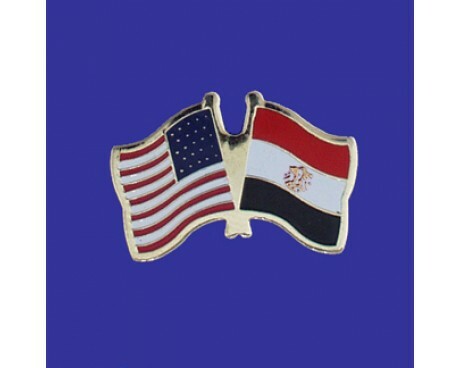 The Egypt flag, like the flags of many other nations in the Middle East, uses a design that mixes the flag of the Arab Liberation movement with a national symbol. The nation's symbol on the flag has changed a few times since the Republic of Egypt was established, but the core design has remained stable. Egypt's national flag is made up of three equal horizontal red, white, and black stripes with the national emblem (the Eagle of Saladin) in the center of the white stripe. Without the symbol, it is the flag of the Arab Liberation dating back to the Egyptian Revolution of 1952. 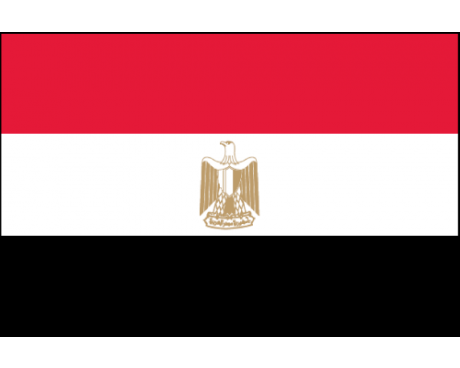 Egypt flags are horizontal tricolors of red, white, and black with the Eagle of Saladin in the center. The flag's red band represents the time before the Egyptian revolution overthrew the monarchy, while the white flag represents the fact that the revolution was largely bloodless. 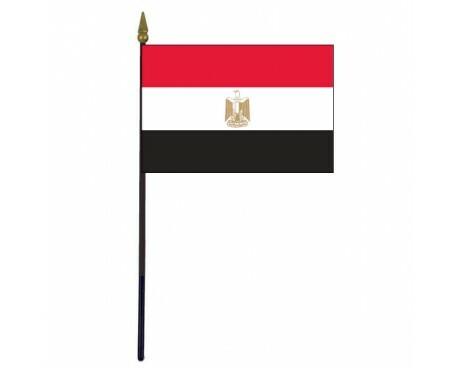 The black stripe represents the oppression that the people of Egypt suffered under foreign rulers and kings. The Eagle of Saladin is a symbol of the nation of Egypt and its people which was taken from the national coat of arms. The first Egypt flags came from the flag of the Ottoman Empire, which exercised loose control over the nation. They displayed white stars and crescents on a red field. Both the field and the stars were taken directly from the Ottoman flag, but the proportions and arrangement were changed to express Egypt's relative autonomy. The first such Egypt flag came into use in 1844, while variants that were increasingly different from the flag of the Ottoman Empire came into use in 1867 and 1914. Egypt became fully independent from all foreign powers in 1922, and it adopted a new flag to commemorate the occasion. The new flag had a green field to represent both the nation's agricultural wealth and the religion of Islam. It displayed a crescent with three stars in the field's center, which represented both the three territories that made up the country and its three major religions. The Egyptian monarchy was overthrown in 1953. The old flag was still used, but a new flag was also authorized and favored by the government. It had the same three bands as the modern flag, but it a different form of the eagle in the center. The eagle was replaced with two green stars in 1958 when Egypt joined with Syria to form the United Arab Republic, but that flag was replaced in 1972 with a precursor to the modern flag when the union failed. 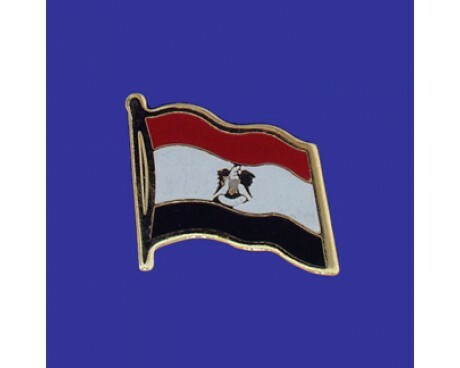 Egypt adopted the current flag in 1984 when it ceased to be part of any unions with foreign nations.